Yes it’s possible to get the kids room neat and clean. Keep the space of your kids' bedroom or playroom cheerful, decorative and organized with our sophisticated shelves and storage boxes. Our storage series will help you storing and organizing anything you want. In our assortment you’ll find storage boxes, clothes rail, shelves and more. Cleaning up the kids room has never been easier. 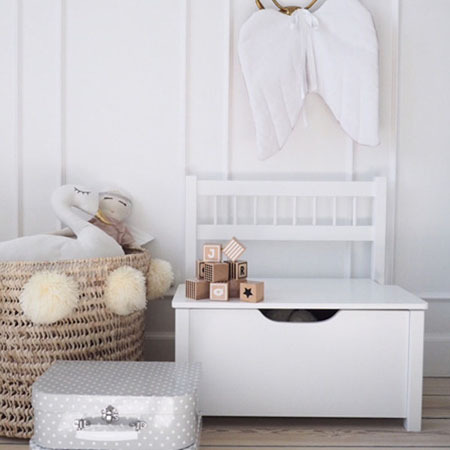 Jabadabado is a Swedish company with its own design and production of wooden toys and childrens furniture in playful and stylish design.